I have also had an amazing couple of days experiencing the kindness of blogging friends. I can't really say much because (if you don't know by now) I'm a total sap. I will cry and get way too mushy. Firstly the talented and wonderful Nathalie at Noas' Libellule sent me this beautiful thank you for my guest post. I love the tape on the packaging and then I honestly sat stroking these for probably a bit too long! My picture doesn't do justice to the colours, the green is deeper and so soft and yummy, I have to find a special place to put these mats but for now I've hung them up so I can admire them! I can't crochet so I'm in awe! She also makes divine shawls, scarves, blankets and has a great tutorial for a lace pouch - it's gorgeous! Thank you my creative friend! (just to point out I've not actually met her... yet! Trying to persuade her to get a ticket!!). It's my own DS collection! I just love all her lines. After the gift from my friend the other day and this beautiful lot I'm entirely in fabric heaven. Deborah you are gracious and kind, thank you! 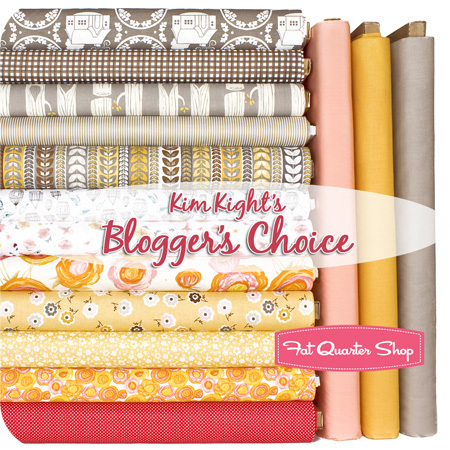 The next package was from a generous linker of the Fugly fabric party - Lisa at In The Boon Docks, she had a couple of sets of her fugly fabric left and sweetly offered to send them to me since I didn't actually participate! I have so many projects I want to make but I will be using these bundles to make another quilt to donate to our local children's centre. Thank you so much Lisa! I know the kids will love it and use it, the fabric is so soft! And then as if those lovely gifts weren't enough I received such a wonderful email from another amazing blogger, the marvellous Jodi at Tickle and Hide, thanking me for the linky party. As a direct result of her giveaway she actually met up with another sewer in her area! It's an incredible story and I welled up reading her email. It was my intention for people to visit other blogs and hopefully make new blogging friends, to have had a hand in a 'real life' one too just blows my mind! When I think of how wonderful this community really is, you know what I do, *blubbing*!! I have a little something to share with you all, not as exciting as actual fabric I know but it might prove helpful to somebody. 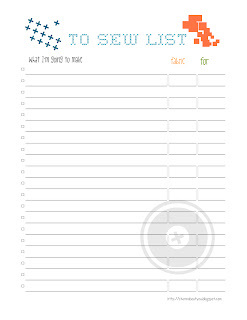 It's a pretty 'To Sew List' so I can clearly see what I'm making, I can write the pattern or title. There's space to write what fabric I'm going to use and also a column titled 'for', which could either be who I'm making it for or a date if there's a deadline. If you fancy one of your own you can easily download and print it out for yourself using the link below. I have seen some clever bloggers who put lists like this in frames so you can write on it with wipeable marker and don't need to print more copies! I'm just not that organised so bluetak and paper it is! 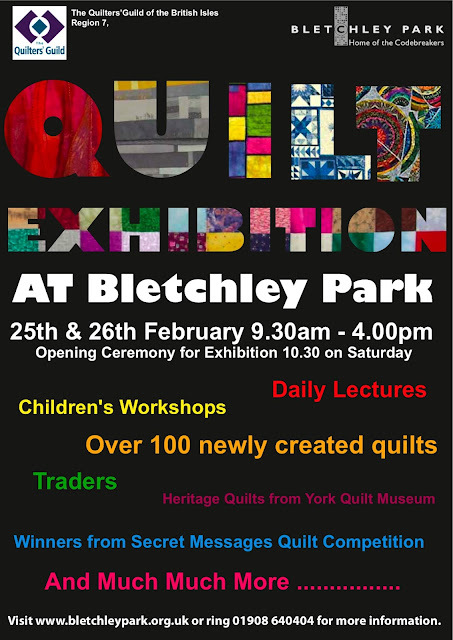 Oh and if your stuck with nothing to do this weekend and happen to live anywhere near Bletchley Park - unfortunately I don't :( - go and visit this exhibition. My Auntie has a wall hanging there!! I've not even seen it yet but I know I will when it's finished it's tour! It's no fun having a porcupine stuck in your throat. Hope you feel better quick. I'm jealous of all your great goodies. I just might need to break down and get me some DS too. Another swappy thing in the works? I can't wait to see what you've got cooking. Hey, I am glad you like the mats!!! I hope you get to use them as well as stroking them! Another linky party... Whoohoo! great idea about the to do list, will download! The reason you are so loved is because your charm does come through in your blog! I love that your are a caring AND talented person! I saw you won at Jolly Jabber Lucy! Congrats, congrats! Hope you are feeling better soon Lucy and lovely post - well deserved! Aww, aren't bloggy friends the bestest at cheering you up? Hope your throat feels better soon! My boss actually phoned me today and told me not to rush back if I wasn't up for it, wonders will never cease! Way too much DS!! You are making me cry - ha ha!! Can't wait to see what you make. 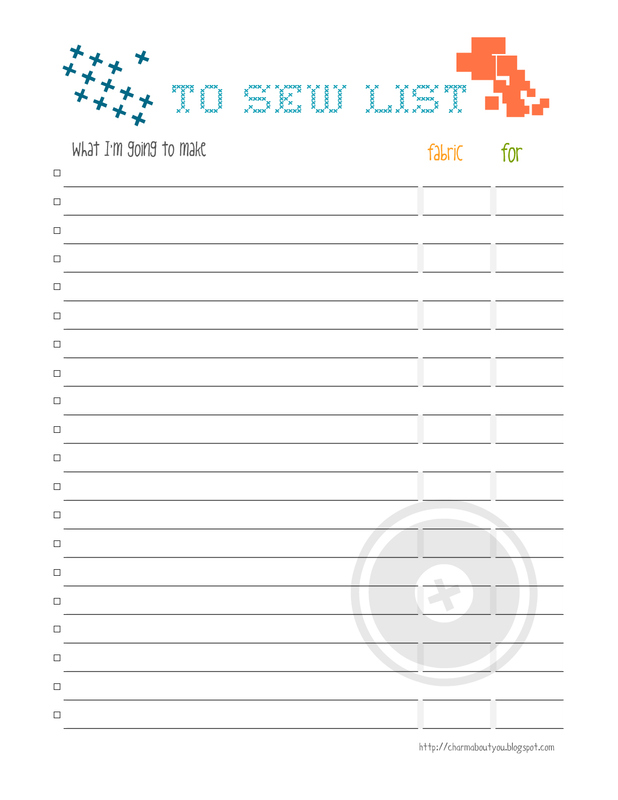 Thanks for the downloadable list, my notebook has what I want to make, but a list I can pin up and see...chunky notebook, not quite. I got that same wonderful fabric from in the boon docks and made a great quilt top and fug rug out of it. Lucy, you are totally charming and deserve all of your goodies. 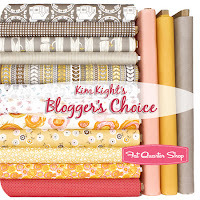 Though I am very jealous of that bloggers choice bundle! Isn't it amazing how seeing and touching fabric makes one feel better. Sometimes I even find it hard to cut into even though I know the end will be worthwhile. Hope you feel better soon (have got the lurch at the minute too, rubbish isn't it?). Thanks for the list, have downloaded a few. Lucky you with all that lovely fabric and special gifts. I wish I could go to that quilt show, it looks great! Yay, lucky you! All well-deserved, Lucy! Enjoy! What wonderful parcels and I love the idea of a To Sew list - much nicer than a To Do list!